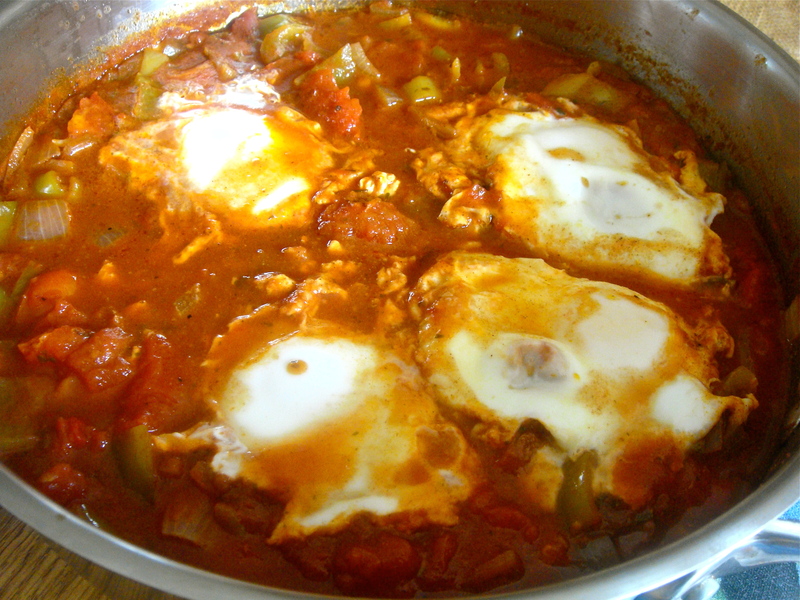 Shakshuka is a traditional Middle Eastern dish that’s composed of a sauce topped with poached eggs. Normally, it’s a breakfast dish, but I served mine at dinner since I am one of those people who need to have breakfast first thing in the morning. I loaded mine with a lot of peppers as my garden is currently overflowing with them. If you want the eggs more visible than mine, just refrain from using all the juice from the canned tomatoes. I happen to love sauce, so I really didn’t mind. In a deep skillet, heat oil. Cook onions and peppers for 7 minutes. Add garlic and cook for 2 more minutes. Add in canned and fresh tomatoes, tomato paste, paprika, cumin, cinnamon, red pepper flakes, hot sauce, and salt and pepper. Break up the canned tomatoes and let mixture simmer until thickened, about 30 minutes. Stir in parsley. In a bowl, crack an egg. Gently transfer the egg on top of the pepper sauce. Repeat for the remaining eggs. Afterwards, cover with a lid and cook until the eggs are cooked, about 6 minutes. If desired, serve bread on the side to dunk in the yolk and pepper sauce. Heat oil in a pan. Add in the onions and garlic cloves and sauté for 5 minutes. Add in the zucchini, oregano, and garlic powder. Set heat to low and cover with a lid. 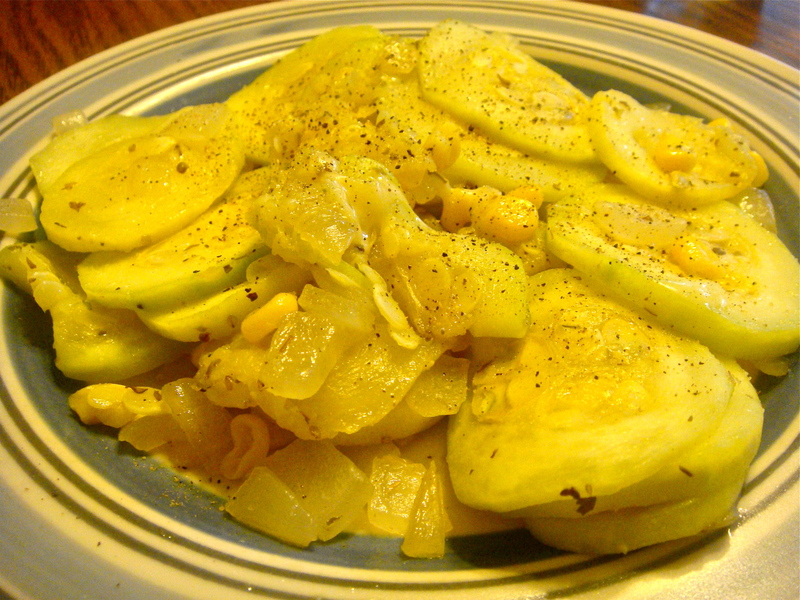 Cook, tossing every so often, until the zucchini has softened, about 15 minutes. Add in the corn and continue cooking for 2 more minutes. 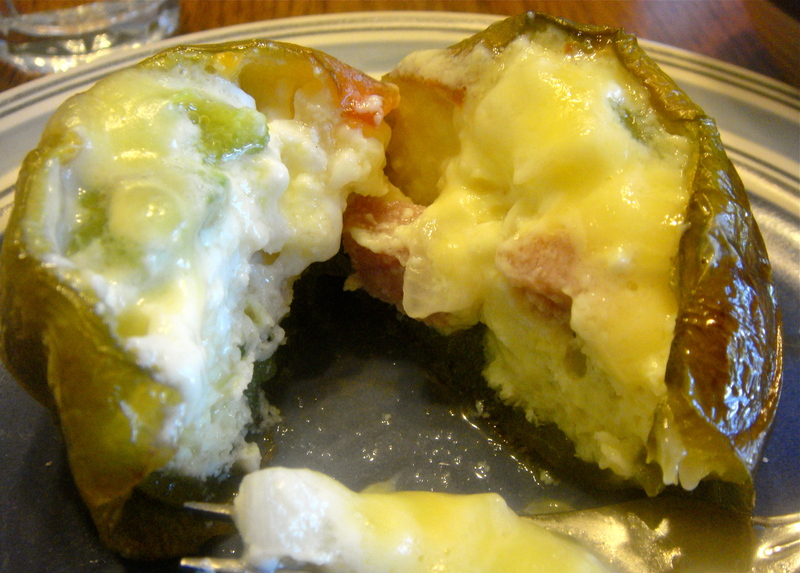 Turn off heat and mix in cheese until melted. Salt and pepper before serving. Ok, I lied. So it’s not endless, but it sure makes a heck of a lot. And that’s saying something because my family can polish off your average container of guacamole within 5 minutes. Which is why I love this recipe. Not only does it make a lot, but only uses 1 avocado. How is this possible? With a secret ingredient: pureed cannellini beans! For all those who are wary, you can’t taste or see them at all. Plus, you get a huge dosage of fiber. It’s so filling, in fact, that you can eat it alone as part of a lunch or dinner. Double the recipe and you’re guaranteed leftovers. What’s not to love? Just a quick side note though: I have only tried using cannellini beans, so I can’t vouch for any other white bean. I, personally, hate and can detect chickpeas every time they’re used. So experiment at your own risk! 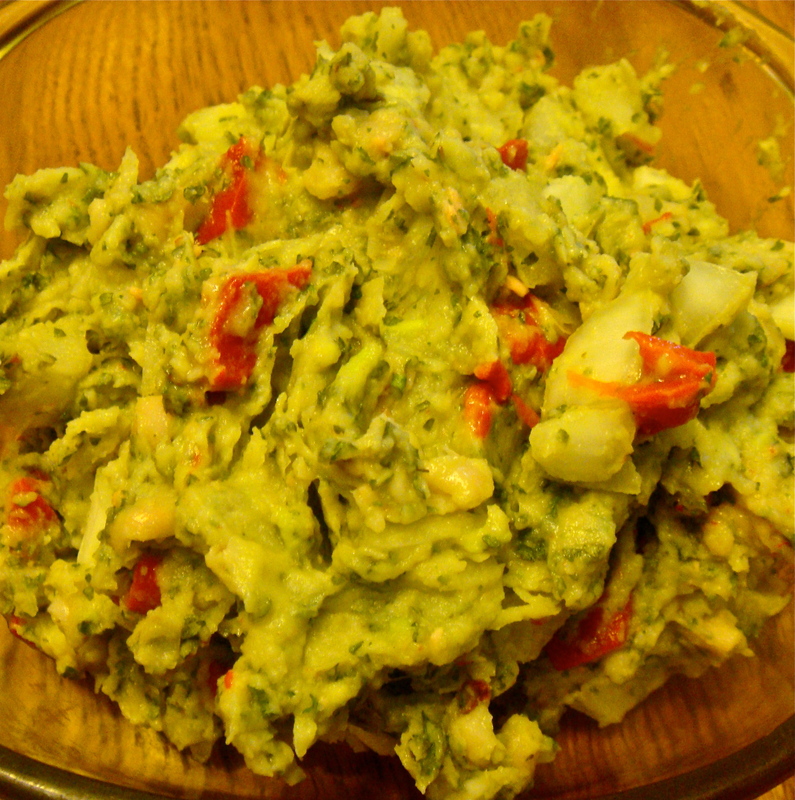 Mash the cannellini beans with a potato masher. Add and mix in the avocado until smooth. Add and stir in the rest of ingredients. Serve with chips, cut-up veggies, or my favorite way, with a spoon. Currently, I am on vacation in Ocean City, NJ. As a result, I won’t be doing much cooking this week. Fear not, though! I was still able to whip this up as it only requires a few ingredients. It’s a quick and easy recipe that’s great for breakfast, snack, or dessert. Preheat the oven to 375 degrees. Slice each banana in half horizontally. Then, slice in half vertically. Thinly spread each quarter with nut butter and then sprinkle with cinnamon (I heavily coat mine). 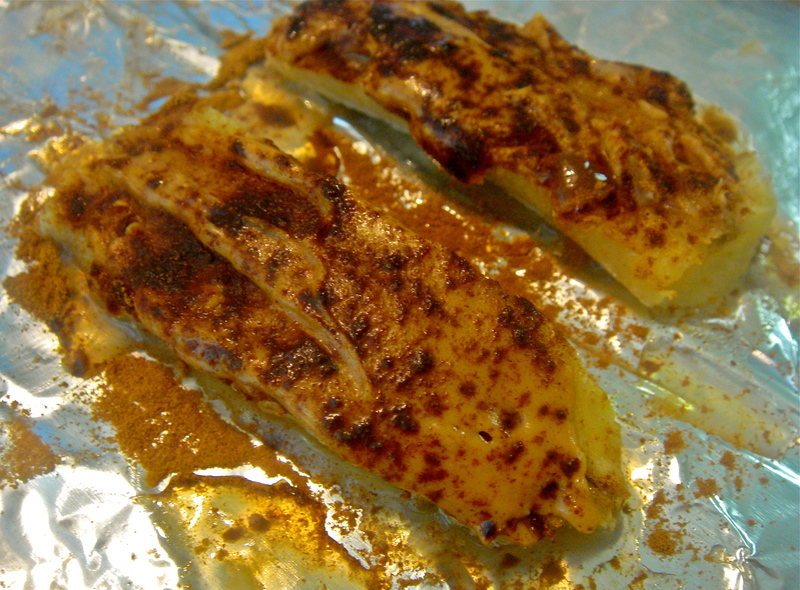 Place bananas in a baking pan or dish lined with tin foil. With additional tin foil, create a small “tent” over the bananas so that they are completely covered. 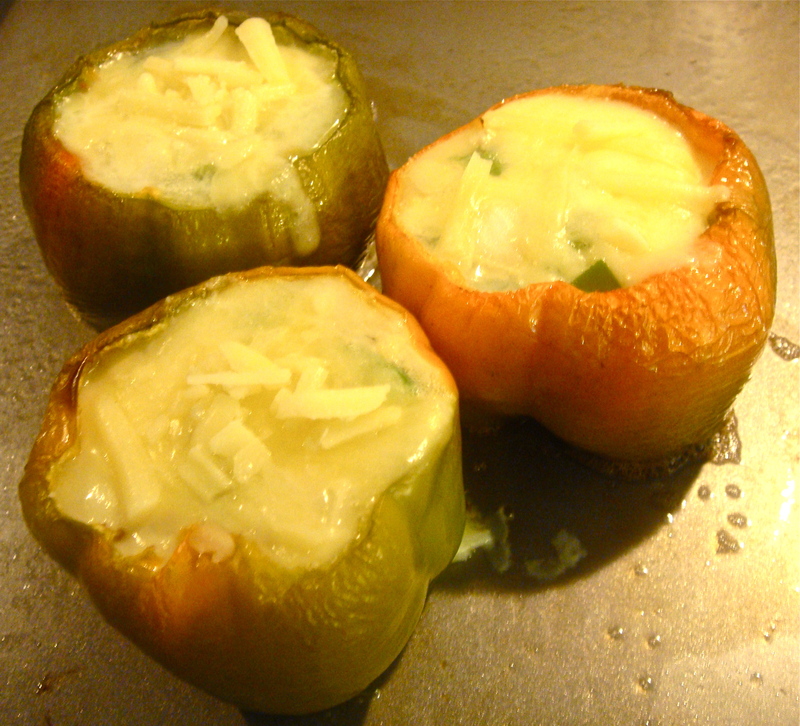 Place in the oven for 15 minutes or until nice and mushy.